Incident happened Saturday night near 67th Avenue and Buckeye Road. 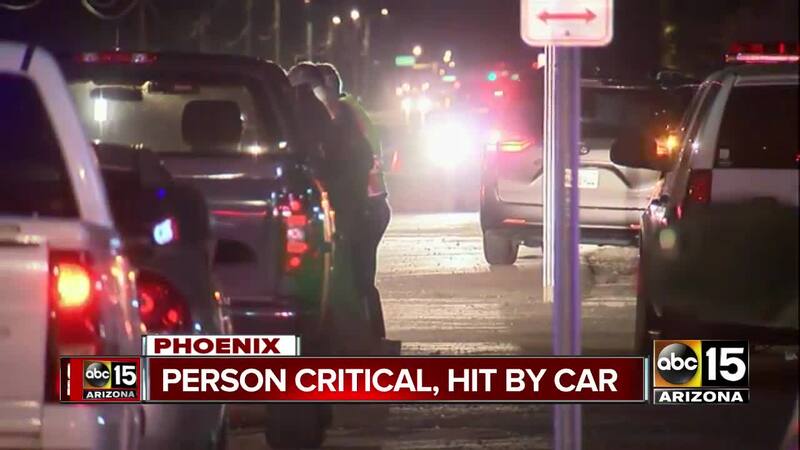 PHOENIX — A man who sustained serious injuries Saturday night after being struck by a car in West Phoenix has died, according to Phoenix police. Police have identified the man as 69-year-old Jose Diron. According to police, Diron was crossing the roadway at 67th Avenue and Buckeye road when he was struck by a vehicle. While down, he was struck by a second vehicle, police say. Phoenix police say Diron was pronounced dead at the hospital. Both drivers remained on scene and showed no signs of impairment, according to police. No charges were filed, nor were any citations were issued, police say.